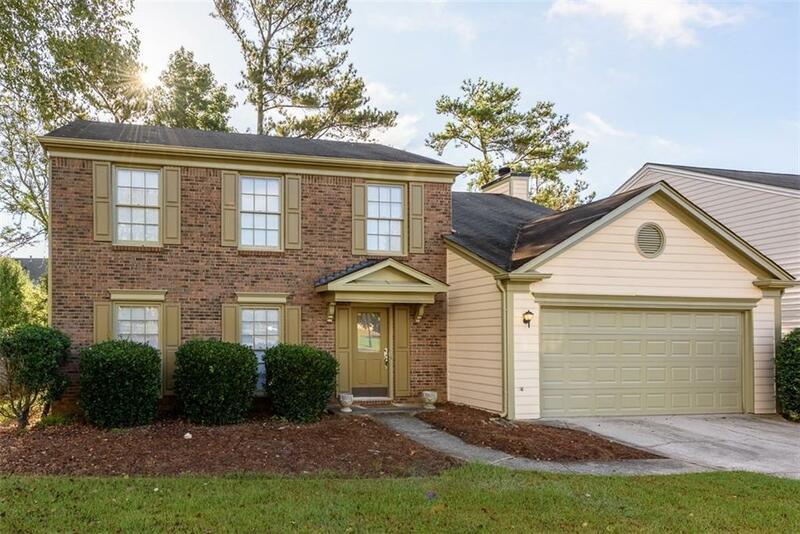 Well maintained 4 bedroom 2 1/2 bath brick front home located on level fenced lot in the sought after swim community of Abbotts Landing. Close to top rated schools, shopping, greenway & interstate. Open plan features a large Dining Rm, separate Living Rm & Family Rm w/gas fireplace. Kitchen includes brkfst area, island & stainless appliances, incl refrigerator. Upstairs features the master suite w/dual vanities in tiled bath, sep shower, tub & large walk in closet. Additional 3 bedrooms, full bath & laundry complete the upstairs. New carpet, paint, garage door & HVAC.